FBN’s Cheryl Casone breaks down the details of Gap’s deal with Europe’s online retailer Zalando. 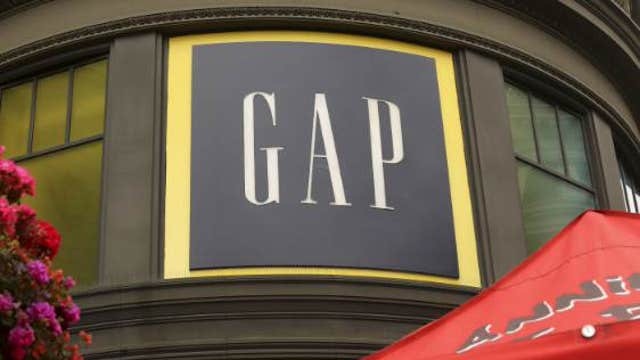 Gap Inc (NYSE:GPS) has struck a deal with Europe&apos;s largest dedicated online fashion retailer Zalando to sell its core brand from next May, hoping to reach more consumers, particularly in markets where it has no physical stores. Berlin-based Zalando, which listed on the Frankfurt stock exchange last month, started out selling shoes in 2008 and now ships 1,500 brands to customers in 15 European countries, with Britain&apos;s Top Shop one of its latest big-name additions. "Many customers in Europe still don&apos;t have access to the Gap brand," Zalando co-founder David Schneider told Reuters. "We offer a platform to enter 15 markets in local languages, in local currency, with free shipments, returns and so on." Digital business head Art Peck is due to take over as chief executive next February after his division&apos;s sales grew 21 percent in the 2013 financial year to $2.3 billion, 6 percent of total sales. Gap&apos;s bigger European rivals Inditex <ITX.MC> and H&M <HMb.ST> are also investing in e-commerce but are focusing on their own sites and are not listed on Zalando. "We have to be where are customers are. Zalando is the most visited fashion e-commerce site in Europe," said Stefan Laban, responsible for Gap&apos;s business in Europe and Japan. "We want to be one of the biggest brands on the site." Zalando, which increased first-half sales by 29.5 percent to 1.047 billion euros ($1.3 billion), reports third-quarter figures on Wednesday.